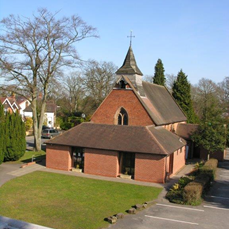 This is the homepage for the church of St Peter Balsall Common. 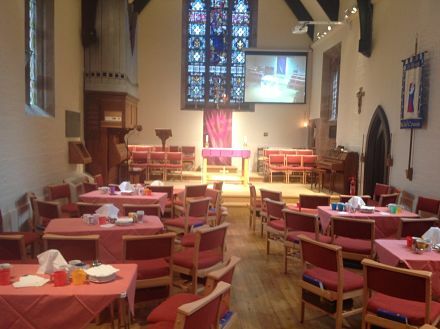 We are a friendly neighbourhood church with services, faith & social events for all ages & life-stages. In these pages we set out our values and activities, tell people who we are and what we are about, and invite you to join in. You can click on the boxes at the bottom of the page for 'newsletters' and forthcoming events. Where there is different colour text, or sometimes underlined text we provide 'hot links' that go directly to the information. More information at http://www.Facebook.com/SPCBalsall and regular updates also on www.twitter.com/spcbalsall Our monthly Magazine 'The Key' is also now available on-line as a .pdf file! You can read it here online! Please let us know if you do, so we shall know that this is valued. Our church has been refurbished to have an accessible level floor, comfortable chairs, better audiovisual system and brighter interior! We hope our services combine a warm welcome and an informal feel with proper reverence and worship (and activities for Youth & Children). With the local Methodist Church, we also provide outreach services at the Harper Fields (Barchester) Care Home, on one Friday morning every month. We do not believe that 'church' is only for Sunday, so have lots of things for different age groups on a variety of weekdays as well. Details of what we did last year were reported to our Annual Parish Meeting and the full set of report can be read here! Please feel free to visit our church and become part of this too! NB: Safeguarding. We take issues of child protection (and the protection of vulnerable adults) very seriously. If you have a concern, you can find our policies and contact details here.